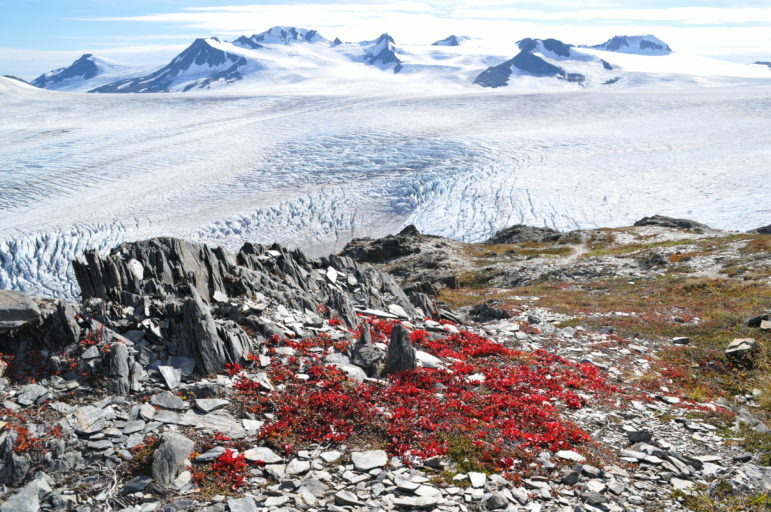 Allowing parks to remain open during the shutdown reflects the Trump administration pattern of disregard for the intrinsic value of public lands and demonstrates both a lack of leadership and stewardship. 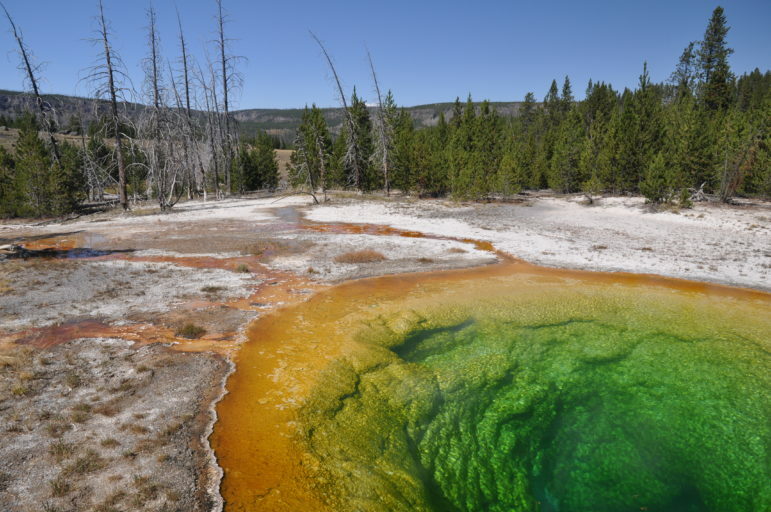 Please act now to support park closure during the government shutdown. WASHINGTON, D.C. (December 6, 2018)—Marking the most significant step toward national wildlife conservation in decades, the Wildlife Corridors Conservation Act was introduced today in the Senate by Sen. Tom Udall (D-NM) and in the House of Representatives by Rep. Don Beyer (D-VA). If passed, the Act will restore habitat and protect America’s native wildlife by establishing a National Wildlife Corridors Program that facilitates the designation of wildlife corridors on federal lands and provides grants to protect wildlife corridors on non-federal lands. Wildlife corridors are critically important habitat areas that allow animals to roam freely from one area of habitat to another for migration, establishing new territories, and finding mates, food and shelter. Linking habitats with wildlife corridors also allows wildlife to adapt to the serious impacts of a changing climate. Much of the danger faced by our most endangered species stems from habitat loss due to fragmentation, climate change, and other causes. 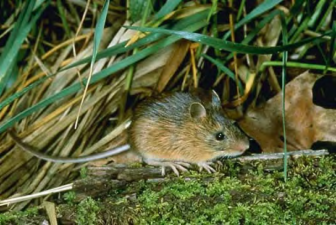 The best available science recommends connecting habitats to ensure the genetic strength of both threatened populations and biodiversity as a whole. Based on this sound science, the bill is supported by nationally recognized scientists, including Harvard’s Dr. E.O. 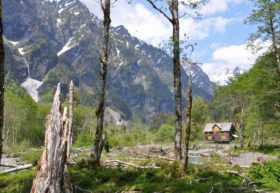 Wilson, and over 160 prominent conservation organizations nationwide. “The Wildlife Corridors Conservation Act would provide the most important step of any single piece of legislation at the present time in enlarging the nations protected areas and thereby saving large swaths of America’s wildlife and other fauna and flora, especially in this critical time of climate change and shifting locations of the original environments in which a large part of biodiversity has existed,” renowned biologist E.O. Wilson said of the bill. The Act grants authority to key federal agencies to designate National Wildlife Corridors on federal public land and creates a Wildlife Movement Grant Program to incentivize the protection of wildlife corridors on non-federal lands. It also establishes a publicly available Wildlife Connectivity Database to inform decision-making. Through this coordinated approach, the bill would also improve wildlife-related recreational opportunities and has therefore garnered support from major outdoor brands like Patagonia, Osprey Packs and Petzl America. Wildlife species in need of protected corridors include the pronghorn antelope, an important game species in the Southwest, whose survival depends upon the ability to migrate seasonally. Even small insects like the monarch butterfly need protected corridors to migrate up to 3,000 miles. It can take 3-4 generations to complete a full migration, and without protected places along the flyway for them to rest and reproduce, the species could be lost entirely. “Defenders commends Sen. Tom Udall and Rep. Don Beyer for their leadership in protecting America’s diverse wildlife in the face of climate change and a mass extinction crisis. The legislation they introduced today draws all Americans into the effort to ensure that wildlife can continue to move freely across our nation’s landscapes, as they must to survive,” said Jamie Rappaport Clark, president and CEO of Defenders of Wildlife. Increasingly, wildlife corridors are enjoying bipartisan support around the country. In the last decade, the Western Governors Association and the New England Governors and Canadian Premiers both adopted wildlife corridor protection measures. 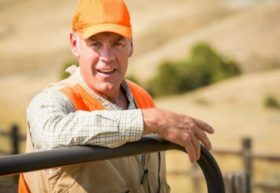 Earlier this year, Secretary of the Interior Ryan Zinke issued Secretarial Order 3362, which would improve “habitat quality in Western big-game winter range and migration corridors.” In addition, both red and blue states such as New Hampshire, Wyoming, New Mexico and California have recently passed measures to protect wildlife corridors. 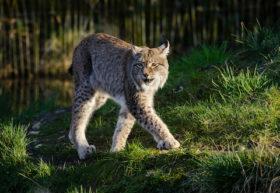 Wildlands Network created a fact sheet for the Wildlife Corridors Conservation Act, as well as facts sheets for potential impacts of the bill on specific species, including grizzly bears, monarch butterflies, Louisiana black bears, migratory birds, Florida panthers and pronghorns. Photos and videos available to the media can be viewed in this Google Drive folder. Photos and videos are also available via email upon request. The Endangered Species Coalition is a national network of hundreds of conservation, scientific, education, religious, sporting, outdoor recreation, business and community organizations working to protect our nation’s disappearing wildlife and last remaining wild places. Defenders of Wildlife is dedicated to the protection of all native animals and plants in their natural communities. With over 1.8 million members and activists, Defenders of Wildlife is a leading advocate for innovative solutions to safeguard our wildlife heritage for generations to come. For more information, visit Newsroom.Defenders.org and follow us on Twitter @DefendersNews. The E.O. 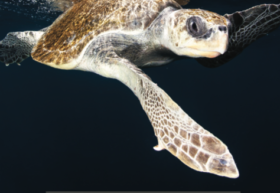 Wilson Biodiversity Foundation fosters a knowing stewardship of our world through biodiversity research and education initiatives that promote and inform worldwide preservation of our biological heritage. 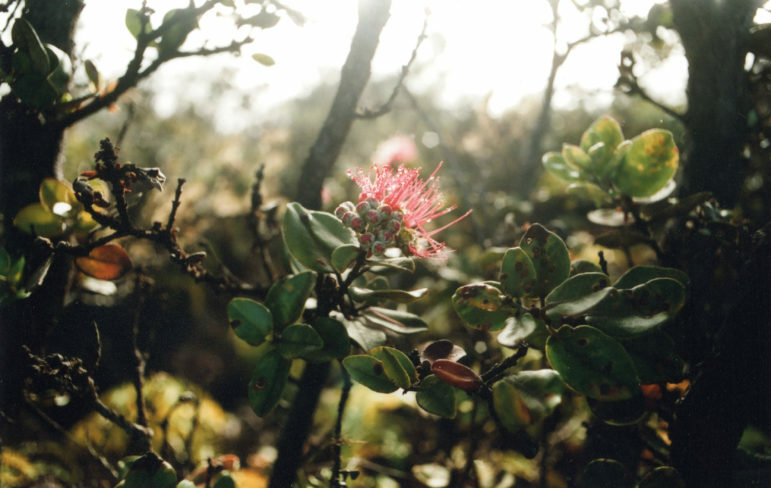 We believe that by enhancing our public understanding of biodiversity, we can foster a culture of stewardship in which people are inspired to conserve and protect the natural world. 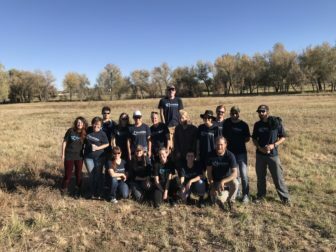 Center for Large Landscape Conservation strategically connects ideas, individuals, and institutions to catalyze collaboration and amplify progress towards the imperative of our time: to conserve Earth’s resilient, vital large landscapes. 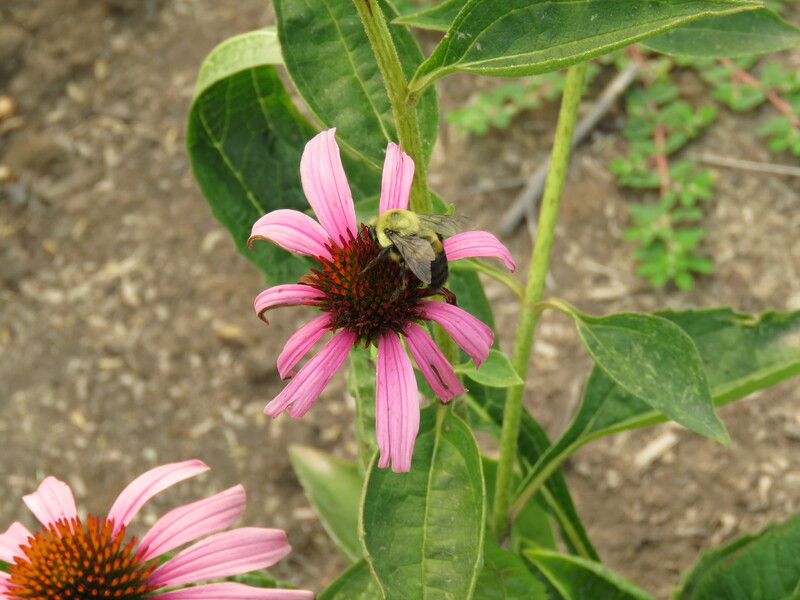 What is a Pollinator Protector habitat? It is a space, small or large, dedicated to plantings of native plants supporting pollinators. Thoughtfully selected and locally sourced plants provide food sources for pollinators who in turn provide the essential service of pollination. 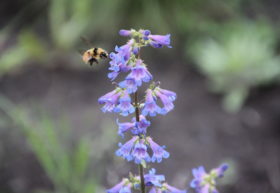 Pollinator Protectors gardens provide habitat in space where plants that pollinators require may be absent, such as urban areas with limited green space, areas covered by lawns, or locations where appropriate plants once thrived but have been extirpated. Pollinator Protectors gardens renew and support habitat for native species. One of the Pollinator Protectors sites that the Endangered Species Coalition works with is the Nez Perce National Historical Park in Spaulding, Idaho. 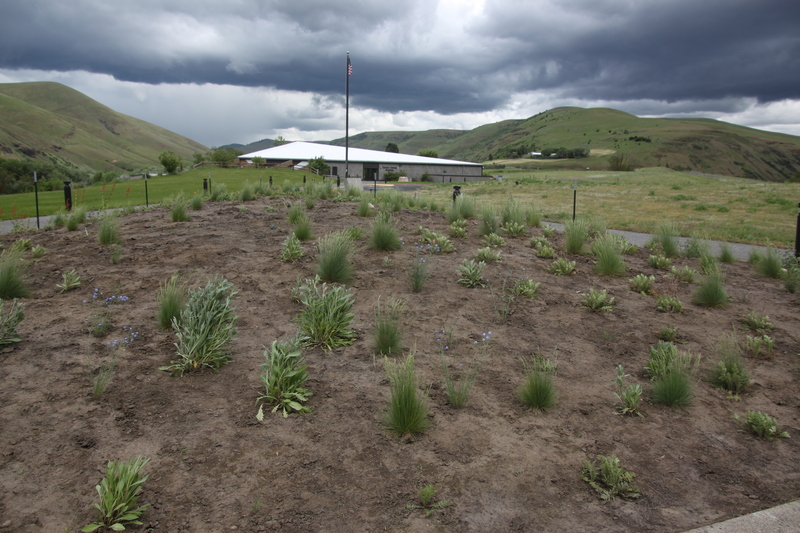 The area immediately surrounding the visitor center at Nez Perce National Historical Park was historically all manicured turf grass. 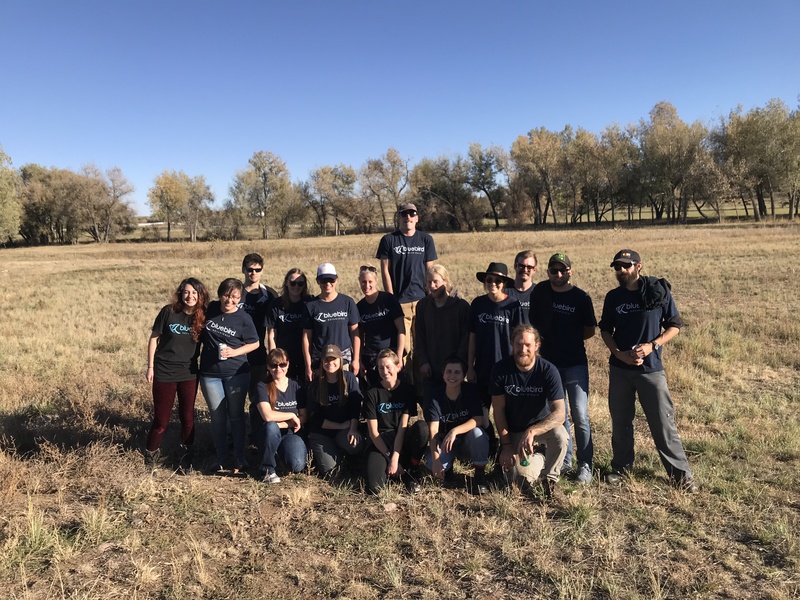 To reduce the amount of watering and maintenance required in these areas, Natural Resource staff converted one of the grassy areas into a pollinator garden. Staff researched a variety of native species most suitable to plant, i.e. those that are drought tolerant and self-sufficient. 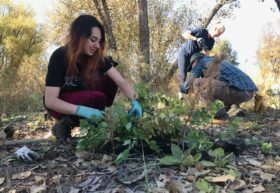 Over twenty-five species were chosen and with the help of volunteers on National Public Lands Day in 2016 and 2017, plants were out planted into the garden. 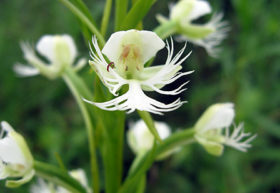 Since then, the plants have grown quite nicely and attracted a variety of pollinator species. The garden has also attracted the attention of many visitors. 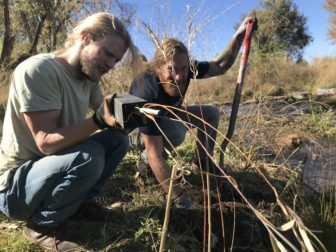 Thus, an effort has been placed on using the pollinator garden as a tool to promote awareness of the importance of planting species beneficial to pollinators. Another focus is to maintain the pollinator garden long-term so it continues providing habitat for pollinators in our area. 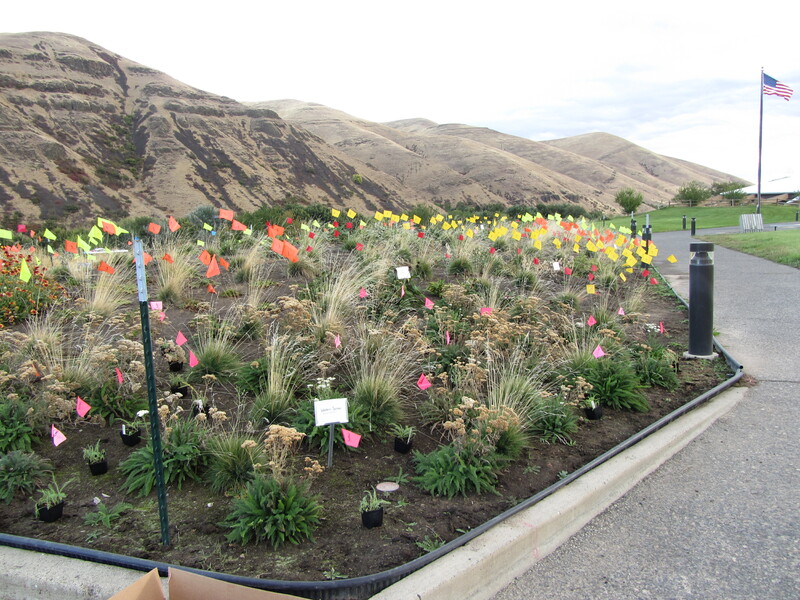 Nez Perce National Historical Park is just one of the fifteen sites nationally that ESC partnered with for our fall 2018 planting cycle. To create these relationships, ESC provides small grants to planting sites; in turn these locations consult with state native plant societies for plant and nursery recommendations. ESC is growing this effort, developing educational materials and building new partnerships. We envision this work expanding and deepening in 2019 and the years ahead. We invite you to contact us if you are interested in participating in the Pollinator Protectors project as a planting site, funder or other partner. The 2018 midterm election could determine the fate of the Endangered Species Act and how hard we have to fight to keep wolves, grizzly bears, and sage grouse safe from political attacks. What we and our neighbors do on November 6th could dictate the fate of endangered and threatened species for the next several years. By choosing to vote, we can take part in the most effective and meaningful individual action to protect plants, fish, and wildlife. Hopefully, you are registered to vote but if not you may still be able to register on Election Day. Check your voter registration or find registration information at the Native Plant Conservation Campaign/Endangered Species Coalition Endangered Species Voter Action Center. Every member of the House of Representatives and 35 members of the Senate are facing re-election. Many of these contests are predicted to be very close and your vote could make the difference between members of Congress who attempt scores of attacks on the Endangered Species Act and ones who do not. Knowing who is on the ballot is the second step in being a prepared voter. You can look up all of the candidates that will be asking for your vote on our Endangered Species Voter Action Center. After you have determined who deserves your support, you need to know where to go to vote. Polling locations are often moved. Even if you think you remember where you voted the last time you cast a ballot, please double check. 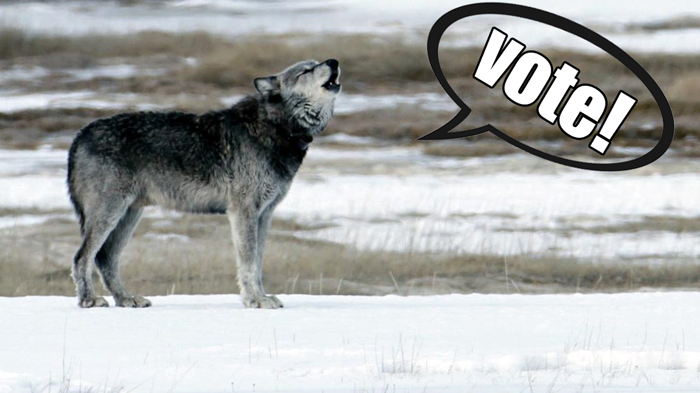 You can look up your polling place on our Endangered Species Voter Action Center. If you are a student, you can can vote in your home state or the state in which you are attending college. Visit this site to learn more. Getting to the polling place can be a challenge but it should absolutely not stop you from voting! Please visit drive.vote to find free rides to the polls on Election Day. It is crucial that you and all of your neighbors vote. Democracy works best when it is participated in and as detailed above, wildlife needs for you to cast your vote. Please vote early if allowed in your state and remember to vote on Election Day. Need a reminder? Sign up for a text on Election Day. If you have already voted, or want to do more, please consider signing up to be poll watcher in your area. WHO: Opening by youth representative Blake Whitewolf Shelafoe and hereditary leader Ken Workman, with presentations, prayers and songs by Indigenous leaders and musical artist Dana Lyons. Join us to grieve the loss of Tahlequah’s lost baby and the loss of 3-year old calf Scarlet in solidarity with the starving Southern Resident Orcas. The death of Scarlet and the looming extinction of these Orcas is caused by the lack of food, pollution, overfishing, underwater noise, habitat destruction, and fish farms, according to the Center for Whale Research, which has studied these Orca for decades. A major cause of the decline of Chinook salmon–the major source of food for this population of Orcas–can be attributed to the obstruction of fish passage and blockage of miles of spawning habitat by the four lower Snake River Dams. 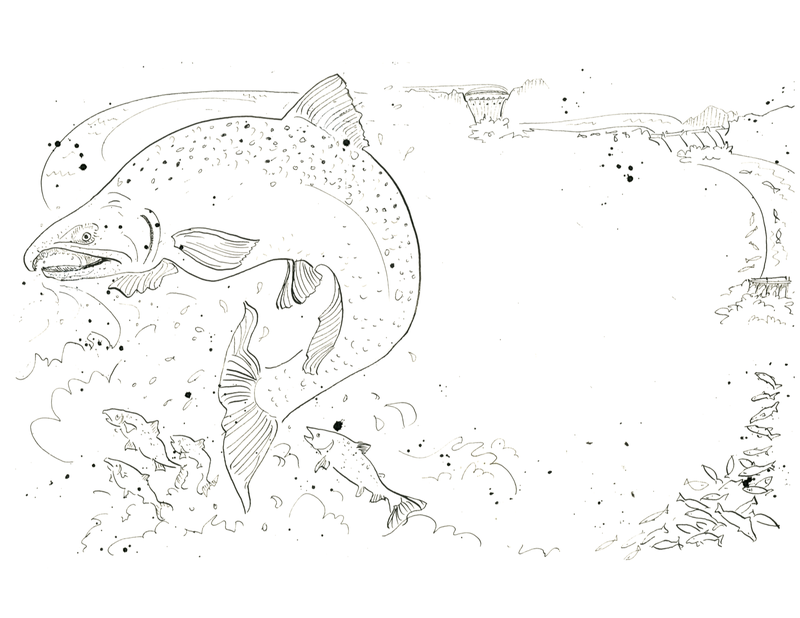 A Fish Passage Center study shows a four-fold decline of Snake River spring/summer Chinook Smolt-to-Adult returns since the dams were constructed. Attendees will come bringing personal words, letters, pictures, drawings and thoughts to be added to the community altar which will be carried in the procession and placed in front of The Federal Building. Attendees are asked to come dressed in black and white to show Love for our Southern Resident Orcas. Tahlequah is the mother who carried her deceased baby orca around the Salish Sea for 17 days in a historically unprecedented and incredibly moving ritual of grief. 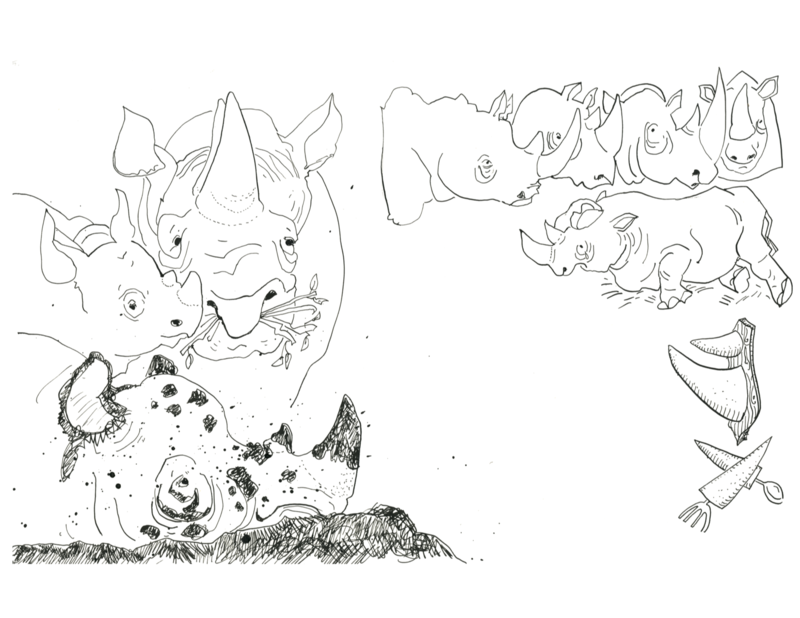 When the baby would fall her mother would nose dive and reach down to bring her dead calf’s body back to the surface. Now another calf in her pod, Scarlet, has died from starvation. A diverse coalition of faith-based, tribal, student, climate, and conservation organizations are sponsoring this event, to see the full list of sponsors and to RSVP visit . This memorial service is free and open to the public. When humans experience grief, we often turn to music to express deep emotions of loss and sorrow. Many of us are feeling a profound sense of grief and loss with the recent death of the baby orca born by mother orca J35 (named Tahlequah by the Whale Museum). 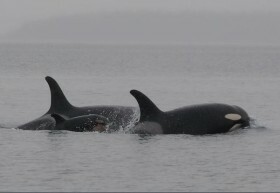 Beyond the tragedy of the death of this critically endangered animal, we are collectively witnessing the power of the connection between mother and baby, as Tahlequah carries her baby’s body with her pod, journeying hundreds of miles through the Salish Sea. Today is the eighth day that the orca mother and her pod have traveled carrying the baby’s corpse. People around the globe are watching Tahlequah journey with the corpse of her baby and wondering how to offer action to prevent these heartbreaking events from happening again. 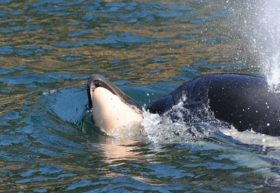 We invite you to participate in supporting the recovery of the Southern Resident orca, turning grief into action. Please sign this petition to Governor Jay Inslee today. 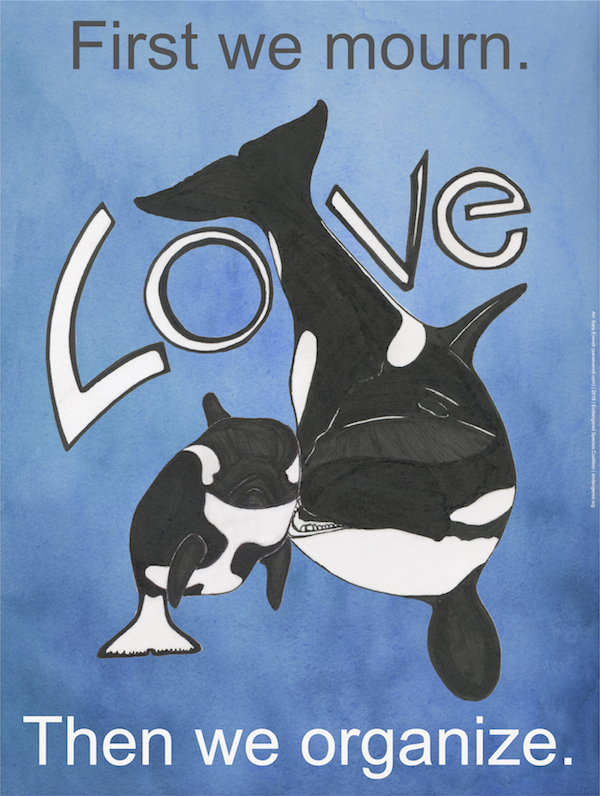 Our orcas need your voice now more than ever. To learn more about Tai Shan’s music, go to https://taishanmusic.com/home. To share your art, music, and ideas for creative actions in support of the Southern Resident orca, contact Jeanne Dodds Creative Engagement Director jdodds at endangered.org.